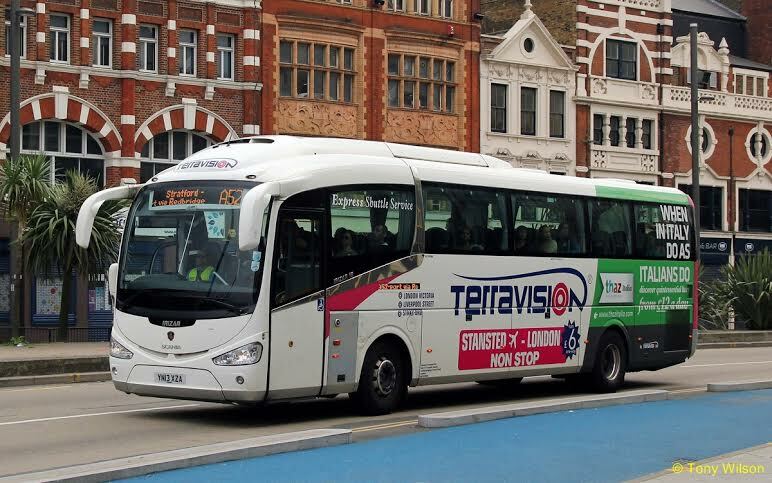 Stansted airport is at the centre of a bus war after the travel company Terravision lost the right to operate out of the terminal but continued to sell coach tickets to unsuspecting passengers. Travellers have complained of missed flights and chaotic scenes because the company failed to tell them that its services no longer run to the airport. Terravision, which has run direct, low-cost transfer services to and from several locations in central London for the past 12 years, lost the right to use Stansted’s privately run coach station after a disputed tender process last year. It was eventually barred from the airport last week. It has launched a legal action in an effort to have its access rights restored, claiming Stansted is denying passengers choice. In the meantime, it has quietly made an arrangement for its passengers to be carried by a new operator, Stansted Citylink. Terravision now ferries travellers from its pickup points at Victoria and Liverpool Street stations in London to Citylink’s stop near King’s Cross station, where they are made to change coaches. Passengers travelling from Liverpool Street have said the first they knew of the arrangement was when they arrived at King’s Cross instead of Stansted airport and were told to get on another coach. Meanwhile, Terravision ticket holders arriving at Stansted airport are instructed to use “bays 11 and 12” – the bays used by Citylink. There is no mention of the arrangement with Citylink or the transfer at King’s Cross on the Terravision website, which claims that a journey between Stansted and Liverpool Street would take 55 minutes. In fact, with the King’s Cross diversion, journey times are up to double that. Terravision, founded by the Italian businessman Fabio Petroni, believes the tender process was flawed. It has launched legal action against Stansted, accusing it of abusing its dominant position under the 1998 Competition Act, and restricting competition to the detriment of consumers. The company has also lodged complaints with the Competition and Markets Authority (CMA) and the Civil Aviation Authority (CAA). Stansted denies the claims and has advised customers to book direct with the three operators who won the contract – National Express, Stansted Citylink (operated by Metroline) and Airport Bus Express (operated by Autostradale).